The Grohe Atrio basin mixer is a premium, high performance tap ideal for those wanting to make a style stamement. It features a twin lever handle design offering precise control and a high C-spout that swivels 150° for extra user comfort. 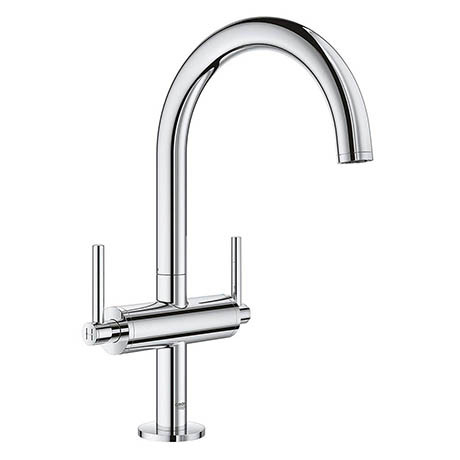 Crafted from high quality materials and finished in GROHE StarLight chrome coating that is scratch resistant and easy to clean. Comes supplied with a click clack waste which simply opens and closes with an effortless push.